Ingredients: 1 large cup of passion, patience cut into slices, skilfulness and ability to taste. We mix them all and bake them in an “oven”. The recipes are always helpful, but the gastronomy involves all the senses. It seems to be a part of a trick of magic to transmit how it tastes, what it smells like, how it looks like, don’t touch, it’s still hot! If you are a housewife that loves cooking, a chef in a restaurant, or just a lover of good food, and you want to show to the others your famous recipes, that your beloved ones / clients adore, or your experiments by using new and exotic ingredients, then you should definitely expose your passion. The best way to do that is to create your own site/blog. Regarding this, WordPress created a bunch of premium Food and Recipes WordPress Themes, that will help your project to look fresh, to feel good, and to be successful. Go on reading, the list is being constantly updated. Neptune is created for bloggers working in the field of cooking and delicious food. This WordPress template has a simple and clean layout, a slider for the best recipes, and much more. The pattern deliberately integrated some awesome features such as super comfortable ingredients compiler, steps with pictures for your readers to cook easier following your recipes. Neptune has responsive design, 7 different blog layouts, 700 fonts, different formats of posts – text and video. The template also supports the Contact Form 7, social media icons in the footer. Finally, this WordPress template is ready for translation into other languages and is optimized for SEO! Give your blog a unique personal style with the Gullvy. 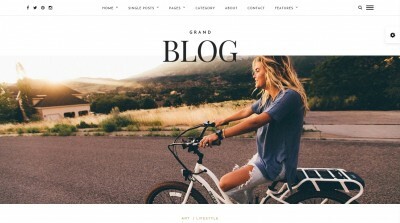 This beautiful WordPress theme will allow you to focus on the content and complement it with chic images. Through Layoutbuilder and UIKit Frontend Framework, you can create content based on the latest web technologies to provide your customers with stunning user experience. In addition, Gullvy enables only those options that you really need. This theme is very flexible. Hide or show elements, change colors and typography, choose between different blog layouts, use the theme in light or dark colors. All options can be used by WordPress Customiser. Pluto is a minimalist WordPress template developed specifically for food bloggers. 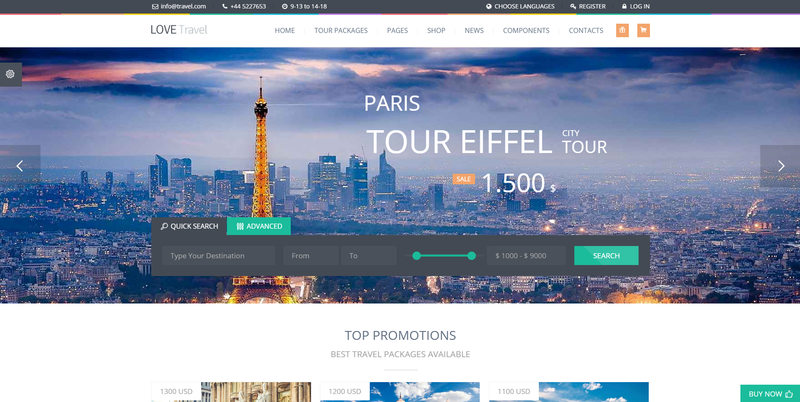 This template is fully responsive, because it is built using pure and valid HTML5 and CSS3 technologies. Pluto looks great on mobile devices due to its unique reading mode. Its powerful administration panel allows you to customize various aspects of your template. It also comes with a QR scanner, infinite scroll feature, 8 post formats, pre-designed skins, unlimited color and font options, Smart Photo Protection, social buttons and more. 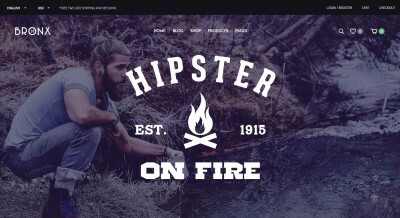 Pluto serves as a functional template for e-commerce websites, thanks to its WooCommerce integration. In addition, it includes useful plug-ins tens of dollars worth, such as UserPro, Mega Main Menu, Visual Composer and Private Messaging premium. 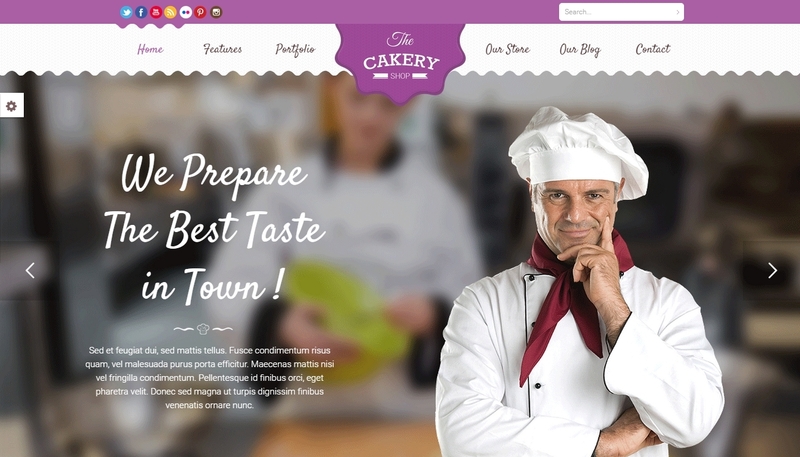 WordPress created Delice Plus Cooking or Crafting Theme, that will make your dishes look better. Rich Snippets will make your posts visible, it will sharp the search of specific recipes, in this way, people can appreciate your work seeing the rating value of your post. All the categories and subcategories are organized in a way you can easily reach them, Icons being built-in kitchen font with 85 vector icons. You have the freedom to choose from a gamma of colors, that will bright your website design. In the same manner to give your project a personal touch, you can opt for modern TILES or responsive slider. Due to the fact that iPad, and iPhones are always near hand, this cooking WordPress theme created one option that makes your elements look fine on these devices. Most of the owners of food blogs/sites, also, want to sell – in their help, comes the Woocommerce option. CookBook is another premium food recipes WordPress theme that focuses mostly on food magazines. Its unlimited colour variations help you to choose the perfect colors for your posts, Royal Slider will help you to side slip through your slides, the unique header and footer builders give you the possibility to mix 40 options in order to create footer and headers that will match to your necessities, HD Retina Ready. You can choose the Classic or the Masonry blog layouts, whatever suits the needs of your articles. Professional support, SEO, multiple language support, quick setup are also representative features which can assure you that you’ve made the right decision. SocialChef is a challenging, organized, and inspiring food WordPress theme that brings as an advantage the possibility to build a stable and fresh food social community quickly. I think that its responsive layout, SEO optimized, schema.org compatible, translation & WPML ready, and the extensive theme options will upgrade the interest of your followers. It has all the qualities, in order to improve the standards of your work. Food recipes WordPress themes brought into the online world the Chow theme. This food theme came with an innovation, called FoodiePress plugin, which is a unique solution that creates and manages recipe data in WordPress. It also allows the reader to search directly the ingredients, the customizable layouts and the templates for recipe. The User Dashboard helps your followers to always find their favorite recipes and, also, it allows them to submit their own recipes. That is how you can build, around your website, a virtual community. School cooking theme will organize your recipes and will give them an aesthetical look, the opportunity to possibility to create your own custom color scheme. You can help someone to look for a dish in your posts, by ingredients. If a follower of your website has appetency for a dish that contains mozzarella, for instance, the advanced search by ingredients will take him to the right recipe. It is a trend to eat as healthy as possible, so an entire industry has been created around the concept of organic food. Fresh ingredients, original recipes, and mixes, that need a creative approach, are promoted in special places, but, also, in the online media. Organic food WordPress theme came with the perfect solution for you to give a fresh look to your posts. I find it suitable for organic farms, organic shops, organic food sites, and organic blogging. The Woocommerce functions any time and makes possible the trade of organic products. The recipes management button helps you create organic food recipes that can be used and followed by your readers. Also, your customers can share their opinion regarding your activity, thanks to the testimonials button. Organic Food includes a license for Essential Grid that allows you to display different content formats in a high-resolution. If you are the owner of a food/health/lifestyle blog, the Talisa theme has the perfect features, in order to improve your online activity. It is modern, fashion, and gives you the opportunity to build your own trendy shop. All the resources you need are embodied in its main features, such as: WooCommerce support, Google recipe format, RTL support, responsive HTML5, CSS3 design, options to change theme colors, Css3 effects, post formats (standard, recipe, image, gallery, video, quote, and link), contact form with Google Map, social media and sharing icons, translation ready. In order to attract clients to your coffee shop, bistro, restaurant, and blogs, you have to come with original ideas, atmosphere, and events. The Culinier food and recipe WordPress theme comes with the perfect style. Its 100% responsive layout design, its event extension, its menu icon, the smooth scroll, the one-click import sample data, its gallery masonry bold the utility of this food theme. Food & Cook is one of the few multipurpose WordPress themes. 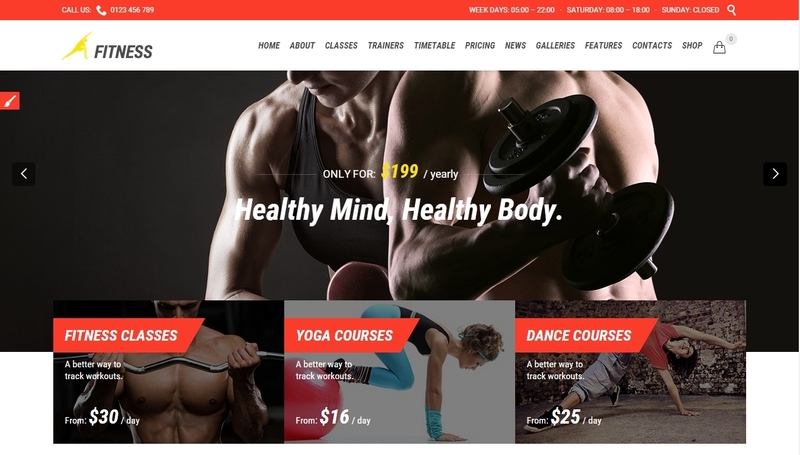 The characteristics that define this theme are: Google microdata, submission of your own recipe, the revolution slider, boxed or wide layout, list or grid view recipe, easy theme options panel, social network integrated, Google map integrated, Woocommerce support. With all these options your project will look better, will have a bit of a classic touch, and will sell by itself. The Recipes WordPress theme brings many new features to the market of themes, such as: front-end recipe submission, front-end user account settings, log in/register pop-up with AJAX, member directory, link recipes to other websites, lazy loaded thumbnails, add advertisement via Theme Options panel, choose between dark, and light layout, and multiple background images included. I find it challenging, because it helps you improve your photos, recipes, tutorials, and it helps you to manage your posts. At the end of our efforts in “kitchen”, we have succeeded. The “meat” is well prepared, the condiments melted perfectly, the vegetables are neither too cooked, nor undone, but something is missing. The final look of a plate upgrades your work, the same thing happens when you create a food blog. With the premium food WordPress themes, we are sure that your “plate” (blog/site) will enchant your visitors.